America is on a death march to ruin. I laid out previously just a few of the events that are convincing the Russians of America’s intention to destroy Russia. Worse, we have evidence that the US is actively planning a nuclear first strike. This does NOT mean that you should place your army ‘in death ground’, on purpose. It just means that you should fight, if death is the alternative. …when a man knows he is to be hanged in a fortnight, it concentrates his mind wonderfully. I was shocked out of my gourd. Everything that I had said three and a half years previously was coming true, and I had been completely oblivious. That started a process of digging into ‘the facts’ that led to the launch of OmegaShock.com. So, let’s look at Russia, and think about what they would do to the US, in response to America’s aggressive imperialism. Do separate searches for “siloviki” and “civiliki”. You’ll find that the civiliki articles are older and far less numerous than the siloviki articles. And, the civiliki don’t even have a Wikipedia page. I know that this is hardly a scientific analysis, but it should tell you something about Russia’s direction – and Putin’s options. With the siloviki looking over Putin’s shoulder, a softly-softly approach isn’t going to go over well. If Putin appears to sit this fight out, the Russian generals are going to get restive and whisper about ‘Vladimir’s lack of resolve’. Putin cannot allow that, if he wants to stay in power. That’s why he needs to produce results, quickly. Of course, we’re assuming that Putin isn’t one of the siloviki himself. Remember that he was a Lieutenant Colonel in the KGB until he chose to retire and enter politics in 1991. No one reaches that rank in the Komitet Gosudarstvennoy Bezopasnosti (KGB) without being very politically aggressive. At the time of that writing, I was working my way through what was really going on in Ukraine. Unfortunately, it’s gotten a LOT clearer. So, THOSE are the two factions within the leadership of Russia. You can bet that the siloviki are ALREADY convinced of the need for a nuclear attack on the United States. But, the civiliki aren’t going to be so easily won over. Furthermore, you can see the fingerprints of the civiliki in Russia’s moves to isolate the US dollar as the world’s reserve currency. Those are economic moves that the civilian side of Russian power understand how to use. Please. You MUST understand that. The Petrodollar System is THE linchpin of the American Empire. And, there is NOTHING that America will not do to preserve it. America has already murdered millions of people in her quest to dominate the world. A billion more, would just be a statistic. So, what will America do next? Invade the Middle East. Again. Any time you hear of OPEC contemplating a switch AWAY from pricing crude oil in dollars, that is one more step towards an American invasion of the Middle East. Saudi Arabia and the other Persian Gulf states cannot be allowed to move away from the US dollar. And, America is prepared to invade the Middle East to scare them into staying with the US dollar – if necessary. The US government has been hinting that ISIS is planning such an attack (gotta love those CIA talking points), and you can bet that this attack will happen at the most convenient time for America to invade the Middle East and protect the Petrodollar System. So, I guess that you would say that the efforts of the civiliki (the doves) in Russia would have backfired, and the siloviki (the hawks) would have the opportunity to act on THEIR plans. And, that is when the attack that we have been talking about would happen. Are there scenarios that do not include nuclear weapons? I’m sure that there are, but I find these ISIS guys to be fascinating in the same way that Hitler was. We’ll see how all of this works out, but please – as we move forward from here – be on the lookout for those events that will drive Russia towards implementing a nuclear attack on the US. So let’s talk about how Russia might attack the United States. In science and mathematics, we refer to solutions that are neat, simple and effective as elegant. I have a background in science, so that’s how I use the word, myself. I suspect that assassins who are masters of their craft think the same way. That’s why I am about to say something that would shock some of you out of your gourd, without first explaining my use of the word, ‘elegant’. An EMP attack is a supremely elegant way to murder an empire. Potentially, all it would take to destroy the United States of America is just one super-emp weapon exploded at Low Earth Orbit (LEO), over my hometown of Indianapolis. Of course, two or three distributed evenly across the skies of the US would be better, but just one appears to be enough. For those of you who don’t know, EMP stands for something called an Electromagnetic Pulse. And, it occurs when either a Coronal Mass Ejection (CME) from a Solar Flare hits the Earth, or a nuclear weapon explodes. Both the US military and Russia have tested EMP weapons and have found them to be extraordinarily effective in destroying electrical and electronic infrastructures. In fact, they both have strategies for the use of EMP weapons, in the event of war. Why would the US, Russia, China, India, etc. consider an EMP attack useful? Because it would destroy the electricity grid of your target, and potentially all of the advanced electronics in the area, as well. The more advanced you are technologically, the more vulnerable you are to such an attack. As our computers and electronics have advanced in power, they have become extraordinarily sensitive to electromagnetic pulse. And, we have had to go to extraordinary lengths to protect them. That is, when we actually TRY to protect them. Unfortunately, the American electricity grid is in desperate need of maintenance and an upgrade. Our power plants and transmission lines are old, and our effort to modernize America’s infrastructure is moving at a snail’s pace. And, this means that we are extremely vulnerable to an EMP attack. Why is it important to talk about EMP? Because, when the lights go out, you will run out of water within hours. You will run out of food and fuel within days. And you will die. Terribly. Most Americans will die from thirst, or from those who are looking for water. The rest will die from hunger – or again, from violent neighbors looking for food. Very few would actually survive. In fact, even if an EMP weapon DIDN’T take out all of the electricity of the US, America would still be destroyed as a nation – and more importantly, an empire. As Frank Brady illustrated in an excellent article, all that it would take is some country to launch what they call a satellite into orbit – and then set off the nuclear weapon inside when it flies over the US. Is the North Korean Kwangmyongsong 3 Unit 2 an EMP weapon? I don’t think so – only because I’m not sure that the North Koreans are sufficiently advanced to create a super-emp weapon that is just 200 lbs. But, I could be wrong. I certainly would feel much better, if they shot the thing down. Of course, there are any number of satellites up there that could be a super-emp weapon. And, I’m not sure that we could shoot down all the satellites that might have a bomb in it. Even one of the Russian modules of the International Space Station could have one on board. That title, All Signs Point To A Coming EMP Attack Upon The United States, is deeply unsettling. And, Dave deepens that feeling by backing up that title with evidence. 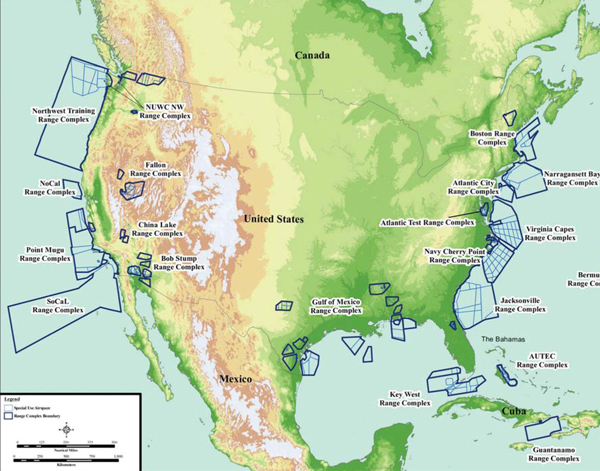 Why IS the Navy engaged in such active war games along the entire coastline of the US? Dave answers the question with some thoughts of his own. Either this is an attempt by the US Navy to save itself from nuclear/EMP attack, or it is an attempt to fend off such an attack. We’ve known about the threat of EMP for a long, long time, and the cost of preparing for such an event is small. So, why would the US government NOT take the small step to make the American Empire invulnerable to EMP attack? Yeah. I think that really answers the question. Unfortunately, the makhaira that slays America might be something other than an EMP. We’ll talk about THAT next. There is more than one way for an assassin to destroy the United States. We talked about an EMP attack, and I believe that this still poses the single biggest threat to the US. But, there are others that might work just as well. We talked about that already, but it’s worth talking about it again – because without electricity, up to 90% of Americans will die within two years. The other problem is that there are quite a few groups of people in the world with the knowledge, skill and desire to do such a thing. When I wrote about an EMP attack, only Russia, North Korea, China, and Pakistan have the ability and willingness to destroy the United States with such an attack. Not so, when it comes to a determined sabotage of the American power grid. Please listen to at least the first hour. Henry covers his most important visions in that hour. But, if you have the time, listen to the other two. Henry Gruver is a profound man of God, and a truly humble soul who loves the Lord. And, Steve Quayle is no slouch, either. Just as important, what he says dovetails with what I have been saying until now. If what I have been saying makes sense, then you need to listen to what Henry Gruver is saying. I have a tremendous amount of respect for Dave. He’s a very intelligent, clear-thinking man with faith in God, and is not given to flights of fancy. He’s a natural-born cynic just like me and is very careful in what he says and how he says it. And, that reputation for carefulness has allowed him to become privy to information that you and I would never have access to. He has also been hearing reports that ISIS is active near America’s borders, and even within the United States. And, ISIS is full of extremely ambitious guys. They want notoriety, and nothing makes you more notorious than publicly attacking the United States. Remember that America must be destroyed – or sufficiently weakened – so that she would be unable – or, unwilling – to block the coming of the Gog and Magog alliance that will descend and attack Israel. So, let’s discuss how a Muslim terrorist organization could do that. You have undoubtedly wondered why the southern border of the United States has been thrown open, encouraging an army of immigrants to flood into America. Most of those illegal immigrants are civilians searching for a better life for themselves and their families. However, mixed in with them are Muslims from around the world. Border Patrol agents have been reporting that many non-South American nationalities have been mixed in with these migrants. We are also hearing reports of people finding Muslim prayer rugs and copies of the Quran in Arabic, along the most traveled routes for people entering the US illegally. We have also heard that ISIS has set up a base of operations, in Mexico – just a few miles from El Paso Texas. I’m afraid that this report makes perfect sense. There is no way that an organization like ISIS would pass up the opportunity to enter the United States for the purposes of spreading havoc and mayhem. They truly believe that it is their duty towards Allah to cause as much harm as possible to infidels, and the biggest infidel on the planet is the United States. I’ve had years of experience living in Israel, surrounded by Muslim fanatics, so there is no doubt in my mind that they have been infiltrating the US border for several years. Until now, they have been scouting America’s vulnerabilities and preparing for the best place and moment to attack. Furthermore, the elites want them to do so. In their eyes, America has become too powerful, and that power is slowing the progress towards a New World Order. There can be no single nation that can be allowed to dictate terms to the world, if their plans are to succeed. So, I believe that the elites have created conditions that will result in massive terrorism, with the expectation that these terrorists will do what comes natural to them. This is how they got America to participate in World War I – by shipping munitions aboard the Lusitania. This how they got America to participate in World War II – by goading Japan to attack Pearl Harbor. This has always been how the elites have worked. They know exactly what they want, and they are good at setting up the conditions that will result in the outcomes that they are looking for. As I have written on OmegaShock.com, financial collapse is coming to America. Once the chaos of this financial collapse begins to spread in the United States, ISIS terrorists – along with any other terrorists – will launch their attacks. An already overworked and understaffed police force will be quickly overwhelmed. Each state will call out their local national guard units. Those will fail. Then the US military will be called out. Local militia groups would undoubtedly take matters into their own hands and begin hunting down everyone that they consider to be a terrorist. Unfortunately, many of these paramilitary groups will probably be better described as ‘death squads’. This would result in a collapse of governmental authority in the United States. Once the authority of Washington D.C. collapses, you can bet that the US federal government will appeal to anyone and everyone to step in to help restore order. That will be EXACTLY what the elites want. A UN multinational force might arrive, with lots of Russian and Chinese soldiers – to assist in helping restore order. They will do that by shooting anyone and everyone who does not obey orders. The price for this intervention will be a loss of sovereignty by the United States. Forever after, the United States will no longer be a completely sovereign nation. This could also mean that America’s nuclear weapons will be placed under ‘multinational’ control. Or, they might even be completely neutralized. Remember that we probably also have Chinese and Russian special forces units already operating within the United States, and their first order of business – in such a scenario as this – would be the neutralization of America’s nuclear weapons capability. Unfortunately, we won’t have long to wait, to see if such a scenario plays out as some have described. I’m afraid that the above makes far too much sense to ignore. Unfortunately, this isn’t an end to the list of deadly threats to America. We’ll talk about one more, next. I, myself, have been immersed in Chinese culture – here in Taiwan – for over five years, and I still find myself perplexed by this fascinating society. My wife reads Chinese news, and on one Wednesday night, she stumbled across the rumor of an accidental bio-weapon release in China – several years ago. According to the report, China had to impose a strict quarantine and essentially destroy the town. And, the report goes on to indicate that the SARS epidemic that we experienced, might have been the result of an accidental release of a Chinese bio-weapon. You probably know about China being the worlds largest holder of US Treasury bonds. She holds just under 1.2 trillion dollars of US Treasury Securities. More people would probably survive a biological and/or financial attack – as opposed to an EMP attack. But, such an attack could still be a kind of ‘deadly wound’ – the kind that Revelation 13:3 speaks of. How ironic to think that China might be a more Christian country than America. And, I have experienced this first-hand, in my interaction with those Chinese Christians who have shown up in my classes.